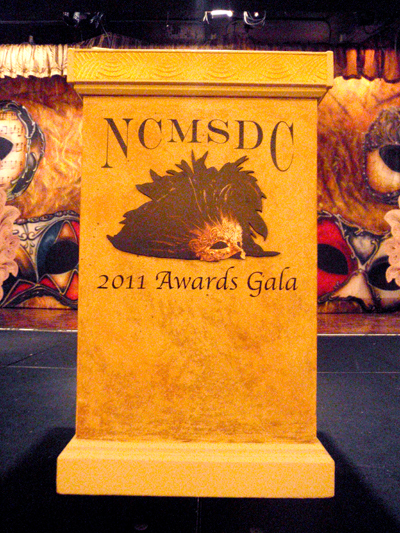 NCMSDC 2011 Awards Gala — John Murray Productions, Inc. The Northern California Minority Supplier Development Council/NCMSDC held their annual awards gala this March at the Westin St. Francis in San Francisco. In partnership with AV Images, John Murray Productions, Inc. helped pull off their Masquerade theme with several custom elements including a faux finished lectern and stage graphics, as well as several large format prints. The event, which recognizes leaders in minority owned businesses, occupied 3 rooms on the mezzanine level. JMP provided decor for the entrance, including mounted and die cut masks floating in front of our purple mirror mesh drape. 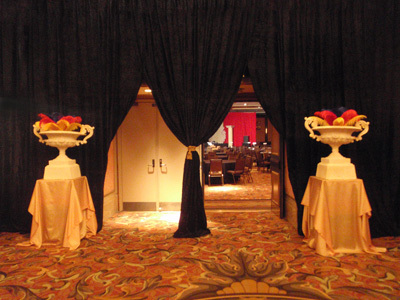 We also created a Venetian atmosphere in the Italian room, with mask images on all the bars, and an elaborate entrance treatment to the grand ballroom where the awards ceremony was held. 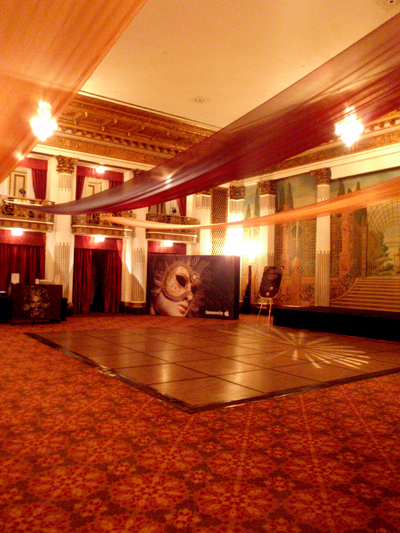 Custom faux finished flats and masquerade backdrop created the look on stage, while an 8'x12' photo wall with a detailed mask image and chiffon ceiling drapery provided the look for the Colonial room, where guests danced the evening away in celebration of their awards.